The deputy commissioner is the pivot round whom the entire administration revolves in the district. He wields wider administrative and financial powers than any other districts of Himachal Pradesh. This system is know as Single Line administration introduced in December, 1963. Under this system the Deputy Commissioner writes the annual confidential reports of all the officers in the district. 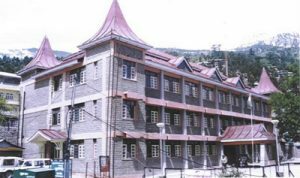 In 1965 the deputy Commissioner was delegated the power to transfer within the district class III and IV employees within the district in consolation with the head of the office concerned.